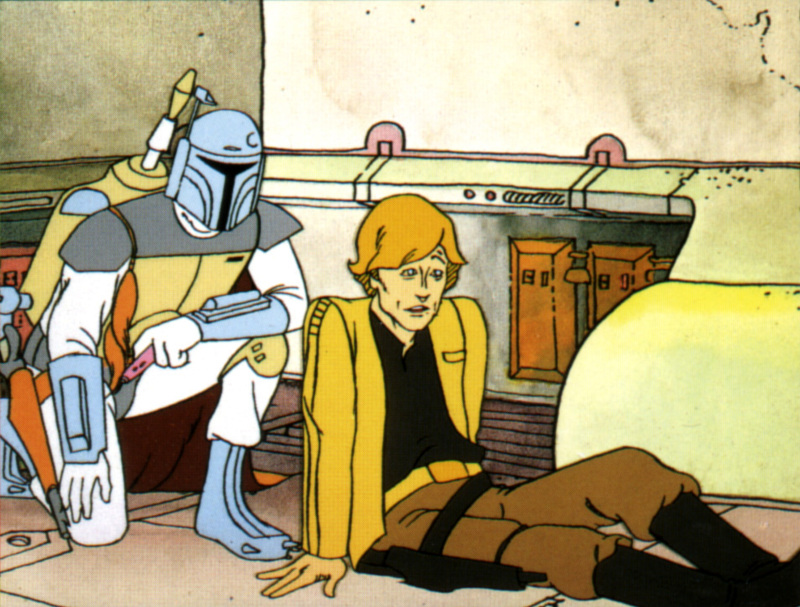 Description: Boba Fett is an interplanetary bounty hunter who attempted to betray Luke Skywalker and the others to Darth Vader on Panna by pretending to be a “friend” and gaining their confidence. He did not succeed, but escaped to return another day. He later shows up to hunt down Han Solo for both Jabba the Hutt and Darth Vader’s benefit. 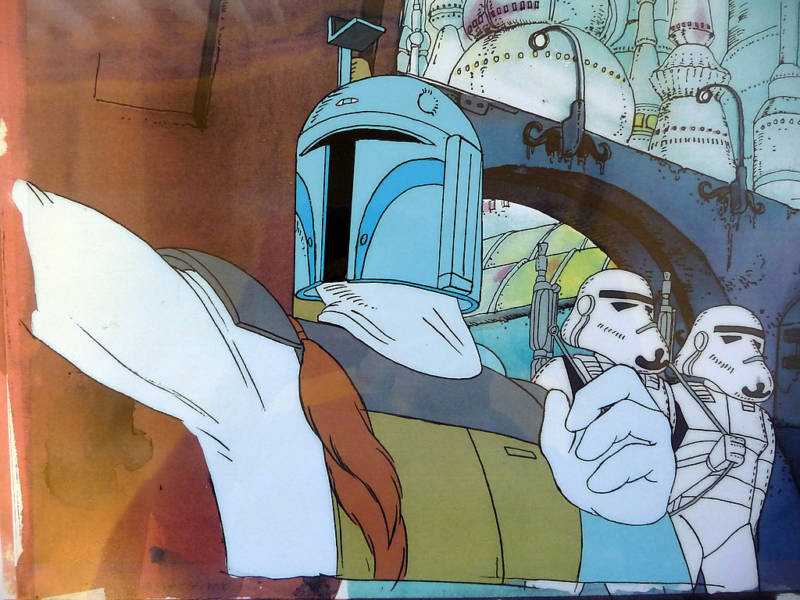 Details: Boba Fett appears on-screen for the first time ever in the cartoon shown during The Star Wars Holiday Special. But he previously first appeared to the public during a parade in San Rafael, California in September 1978, two months before the Holiday Special would air, with an actor wearing the costume alongside another actor playing Darth Vader. 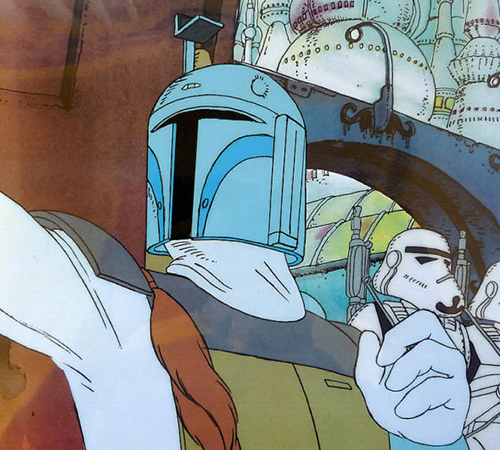 Fett has since shown up in The Empire Strikes Back and Return of the Jedi, of course, as well as in the prequels as his younger self…and he has had many off-screen appearances in comics, novels, video games, and other media. 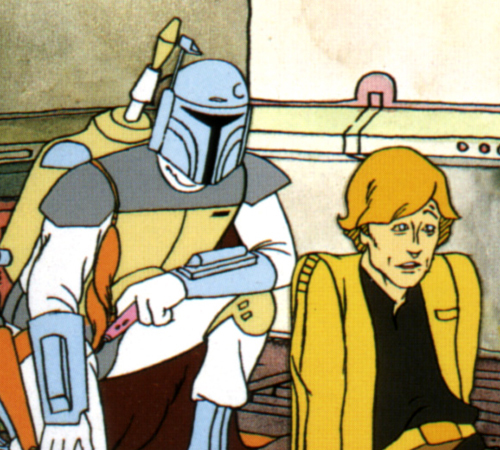 His voice in the Holiday Special is assumed to be attributed to Don Francks, who was the voice of Fett in the DROIDS cartoon series, but this is not 100% confirmed.